We begin our meditations with a few carols and hymns associated with Advent rather than Christmas. Advent comes from a Latin word that means “to come”. In Advent we think about those who at the time of Christ longed for God’s promised Messiah to come, and we think too of our own longings for ourselves and for the world. This hymn draws on a traditional set of responses used at the evening service of Vespers called the “Great O Antiphons”. They plead for Christ to come, using Biblical images for Jesus that have their roots in the Old Testament. Though the hymn is ancient, the longings of those who wrote it are easily recognisable. They feel they are in exile. They long to come home, to be free, to find light and hope in times of trouble, and to find God’s guiding presence now, just as ancient Israel did when Moses was given the Law on Mount Sinai. The refrain reassures them that help is on the way. · Which verse of the hymn speaks to you most powerfully? · What do you long for right now? · Do you believe God will give you what you need and long for? For most people Christmas wouldn’t be Christmas without its familiar music. Even Richard Dawkins is reputed to have a soft spot for Christmas carols. Some Christmas carols have become so familiar, though, that we have stopped noticing what they say. They become no more than background music, and the theological and spiritual ideas which they express are lost. In our Advent series of thoughts, which starts on November 30th, we’ll take a carol a day and think about its words. There will be some questions and a Bible verse to ponder, and, if you can access the church blog, a Youtube clip of the carol to listen to. Check back here each day for a new carol and something to think about. Carols were originally folk tunes designed for dancing. The word “carol” comes from French, Latin and Greek roots which all have to do with dancing. Carols weren’t necessarily associated with Christmas, and they weren’t written to be sung in church. They were the songs of the people, songs to be sung when they got together to celebrate informally. Christmas carols became popular first in the 15th Century, but were suppressed after the Reformation. The Puritans, who famously tried to ban Christmas celebrations, took a particularly dim view of them. In the 18th and 19th Centuries they began to enjoy new popularity. Catchy tunes and vivid imagery helped them to become the familiar element of Christmas that they now are. Some carols are simple retellings of the Christmas story, like The First Nowell, some are full of profound theology, like Hark, the Herald Angels Sing. Some are loud, even raucous, others gentle and meditative, but all have become popular because they somehow help us to enter into the story of the nativity and enjoy it anew. The Carol Service in the form we know it now originated in 1880, when Edward Benson, then Bishop of Truro, decided to hold a service on Christmas Eve, allegedly to keep the men out of the pubs. Whether it met that aim is unknown! Carol singing outdoors is a much older tradition, going back to the custom of “wassailing”, which is probably pre-Christian in origin. Bands of singers went from door to door at mid-winter asking for food and drink in return for a song. Gradually Christian carols were added to the secular wassail songs, but there has always been a sense in which this activity was semi-detached from the Church, and it remains popular among those who aren’t churchgoers. · What are your earliest memories of singing Christmas carols? What's on at Seal Church this Advent and Christmas? tea. Everyone is welcome, and this is suitable for all ages - babies, toddlers, older children and adults too. 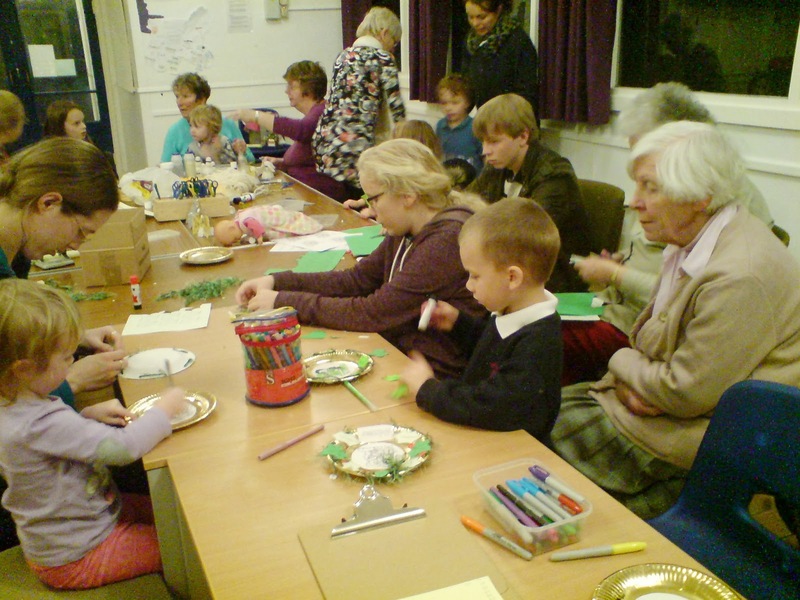 We can't look after unaccompanied children, but mums, dads, grandmas and grandads usually enjoy the activities just as much as the children, and it's a great way to meet others in the church in a (very!) informal, fun way. It doesn't matter if you miss the beginning. The craft activity time is from 4 -5pm, so if you're running late, come when you are ready. Our travelling Crib set will be making its way from house to house around the village again this year. 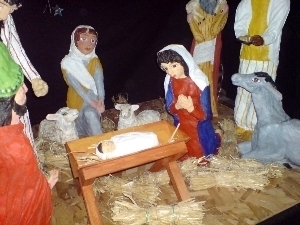 If you would like to host it for a night sign the list in church or email the vicar to arrange a night to host the crib. You'll receive it from the household who had it before you, and you'll need to pass it on in good time to the next household on the list. 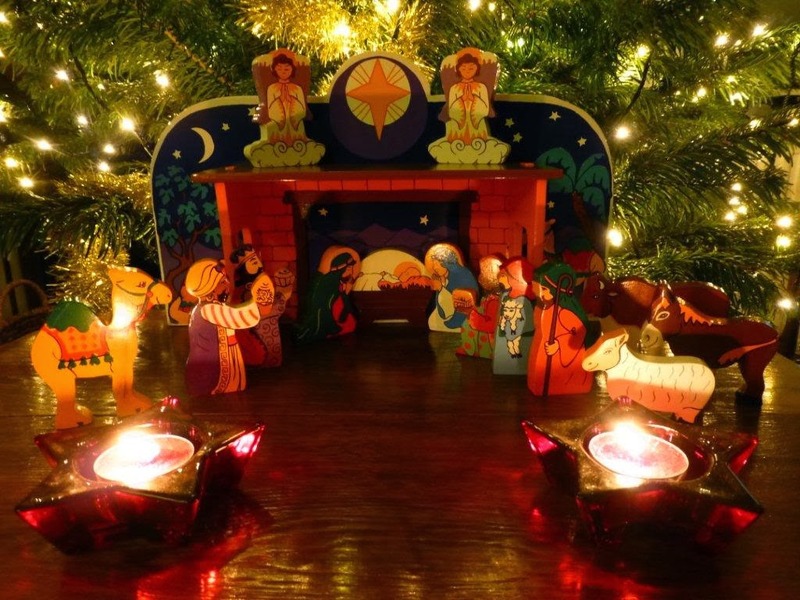 Along with the crib set, which you can set up at home for the night, there will be resources for prayer and story books suitable for all ages. This service, in aid of the Children's Society, celebrates Christ, the Light of the World. 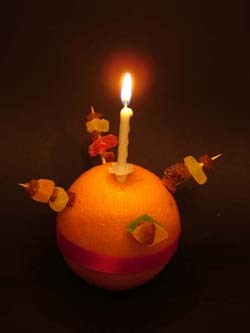 We'll be singing some carols, and every child will receive a Christingle orange. 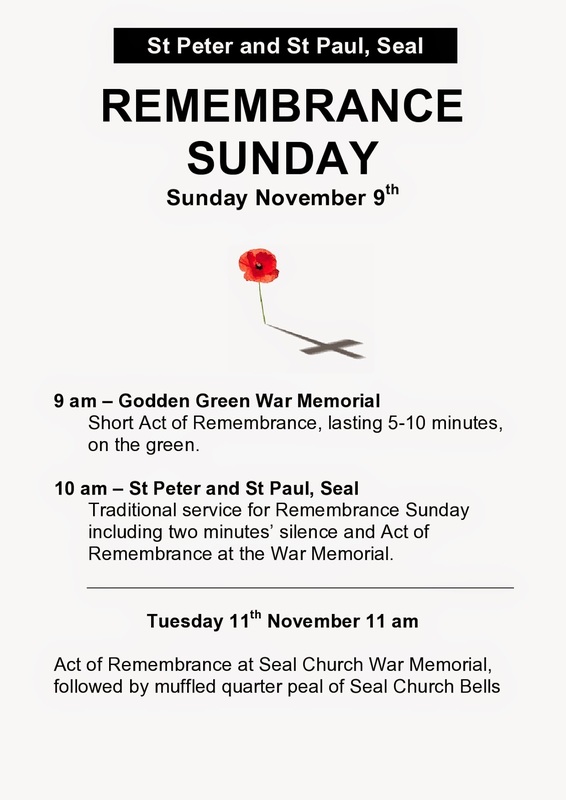 The service includes Holy Communion. 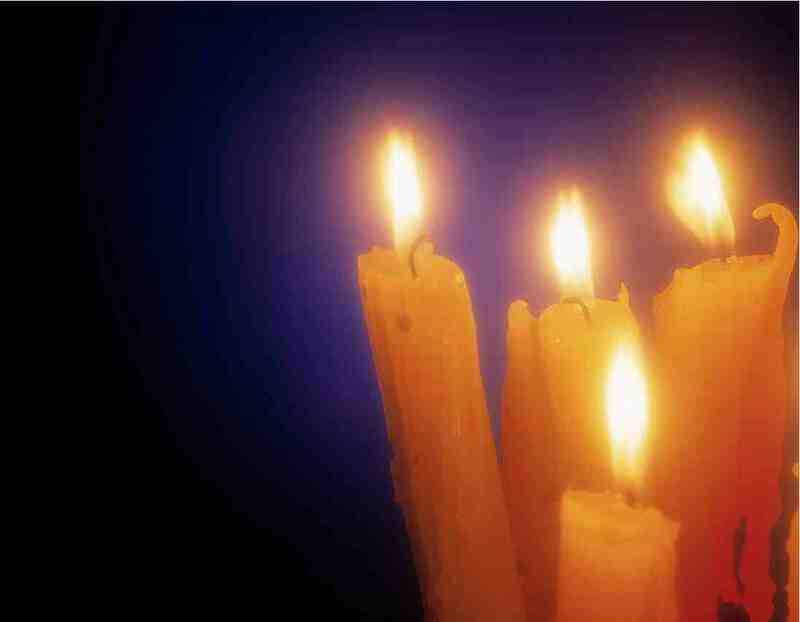 These quiet, contemplative, candlelit services are the ideal antidote to all that frenetic rushing around we do as Christmas approaches. 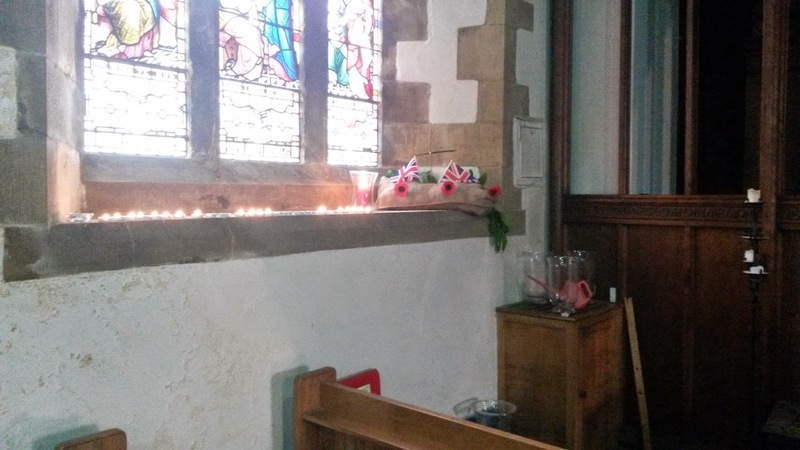 Held in the Lady Chapel, they include lots of silence and a short talk. Come along and spend some quiet time thinking about the true meaning of Christmas. A service for all the family. Come along and help us build our Christmas Crib as we hear the story of Christmas and sing carols together. The first Communion of Christmas. There is a chance to light candles during the service as we celebrate the birth of Jesus with familiar carols and readings. You will be guided through the service, and everyone is welcome, so if you've never come to church before you need not feel anxious about knowing what to do. All Age Communion for Christmas morning. A communion service for everyone, with a story in place of the sermon. Come and rejoice with us. 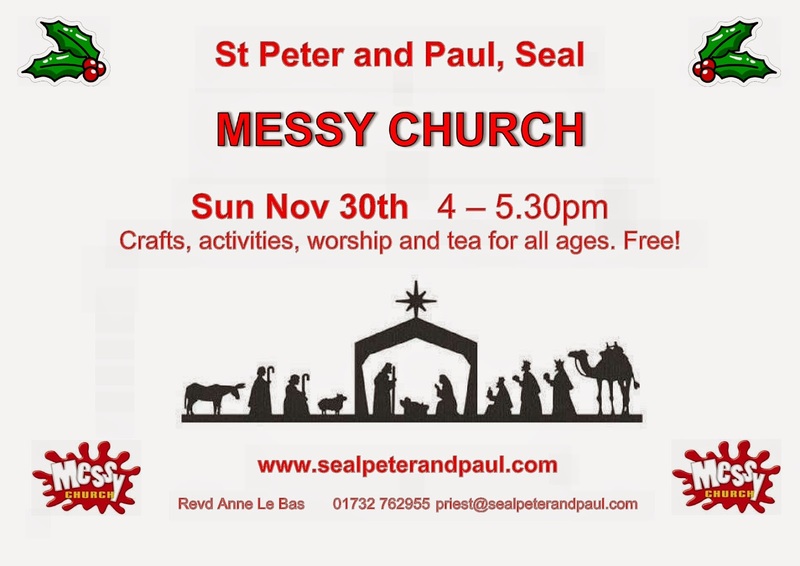 Advent Sunday is Sunday, Nov 30th, and it is also the date of our next Messy Church session in the church hall. Why not come along? All ages are welcome. There will be craft activities, worship and tea, and it is completely free. If you usually come, why not bring a friend too? You can print out the poster below to spread the word. 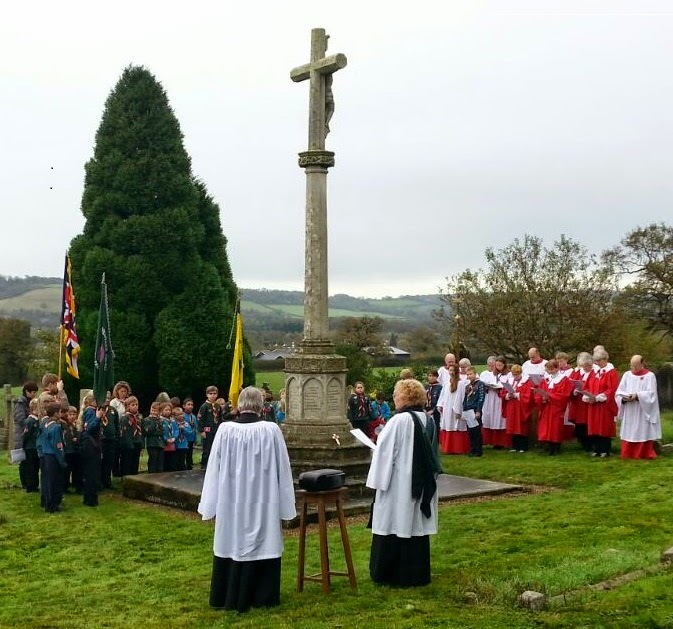 Some pictures from our Remembrance Sunday service. Many thanks to Stephen Bloxham for the photos. 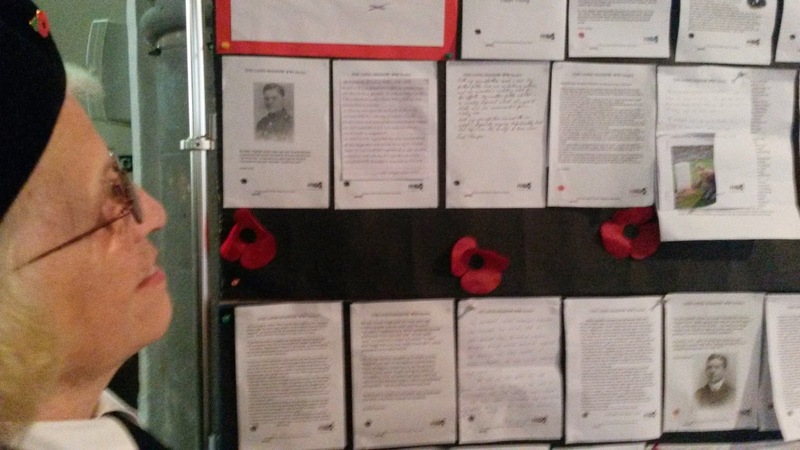 This year at Seal we asked for people's family stories of WW1. 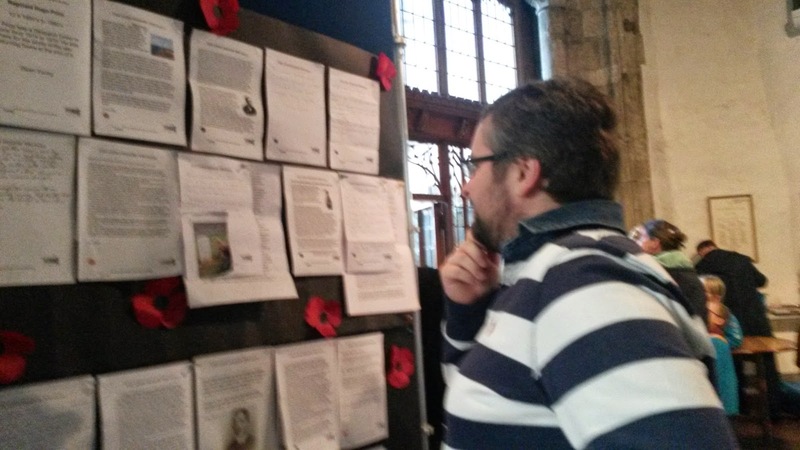 Stories came in of servicemen, of civilians affected by the war, of women nursing or doing war work, of conscientious objectors, of families dealing with the death of a father, husband or son, or of living with the long-term injuries, mental and physical of the war. 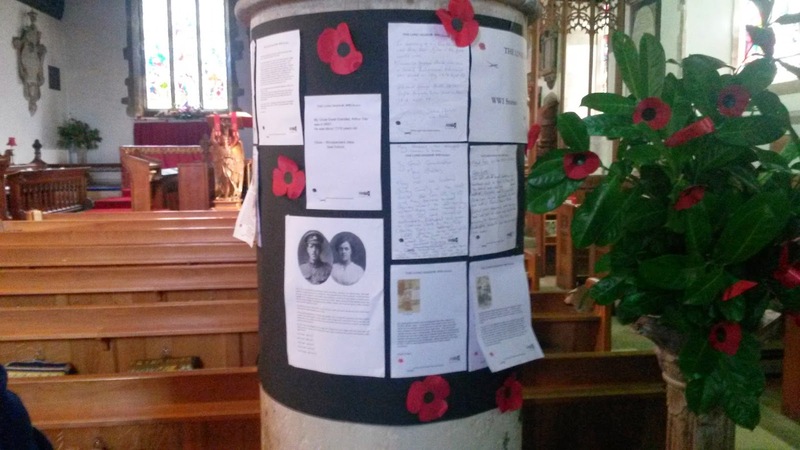 The stories will remain up in church until the end of the month, when we will collect them into a display folder to be stored at the back of church. If you have a story you'd like to add, please feel free to add it. 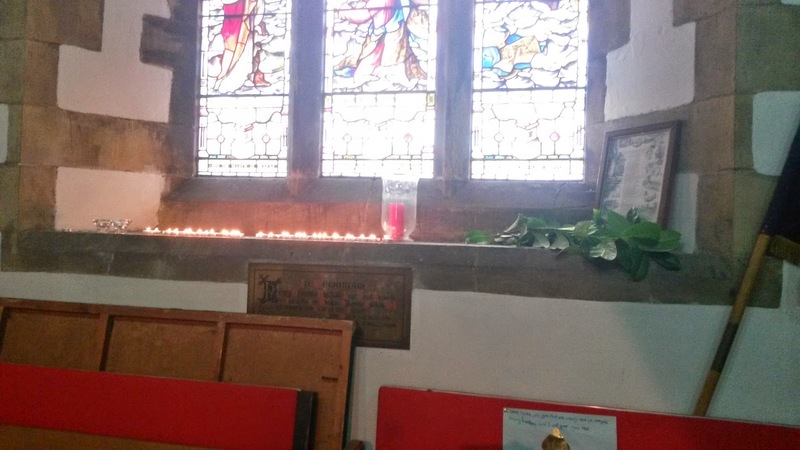 At the beginning of the service all the congregations had been invited to light candles in the windows of the North Aisle. One of the stories in our collection had told of a young soldier, who had lied about his age in order to enlist. He had been declared missing, presumed dead, but his body was never found. His mother had lit a candle in the window every night, just in case he might come home. 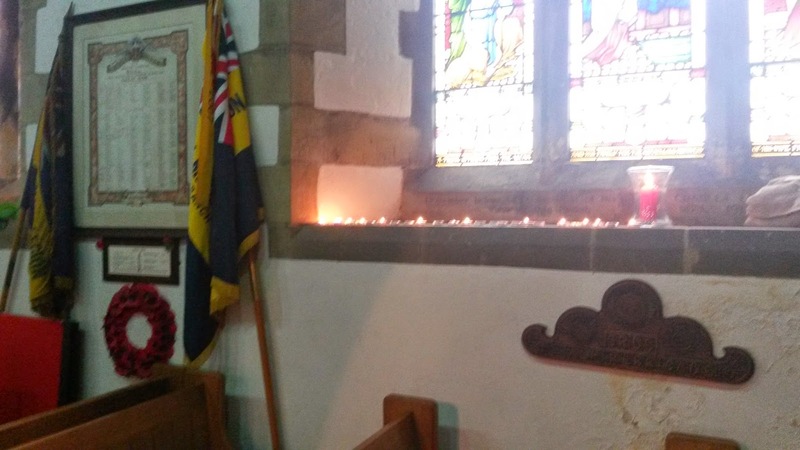 The candles we put in the window symbolised the way in which telling our stories "brought home" those who had died long ago, and reminded us that we are all "brought home" by God, and kept safe forever in his love. 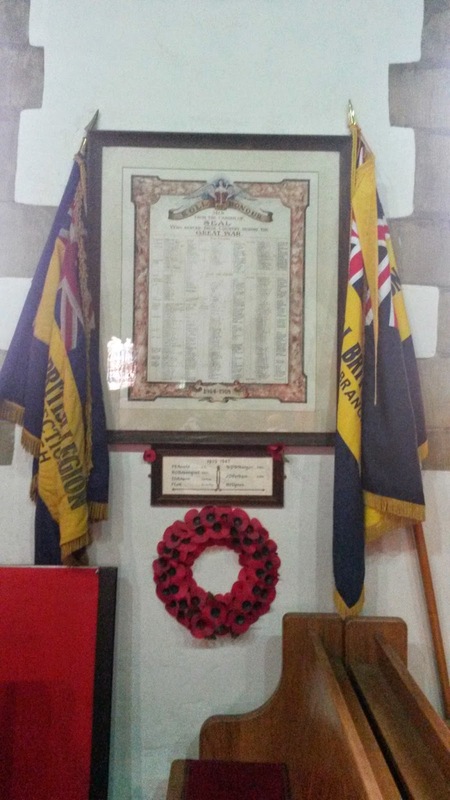 The list of those who died, and those who served, with British Legion Standards. Copyright © 2014 Archbishops' Council, All rights reserved.